Let us tell you about Tracy Robertson. Tracy is the publican at Mass Ave Pub. We love her because she lets us at Hoosier Beer Geek do stupid things. Like hosting HBG Pint Nights. And offering #nakedhugs. 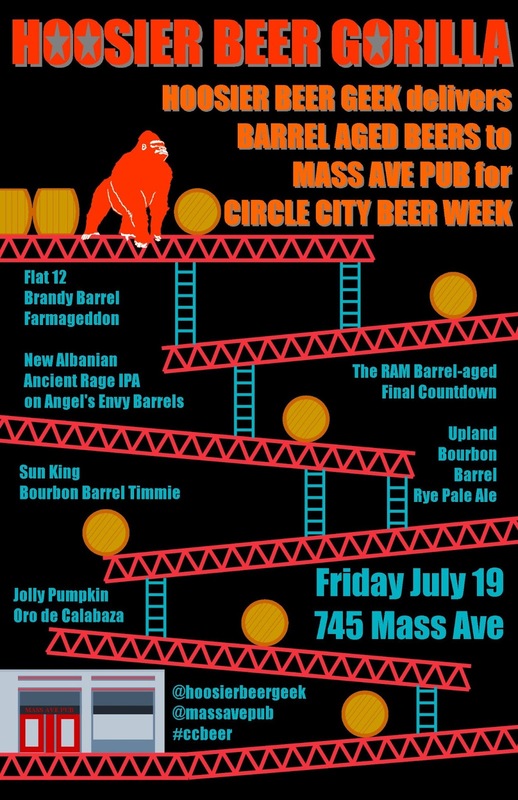 And holding a Barrel Aged Beer night during Circle City Beer Week. Friday, July 19, at 6:30 p.m. to be precise. Bloomington Brewing Company's Wine-Barrel-Aged Ruby Bloom Amber. And for the fun of it, Tracy is going to tap Jolly Pumpkin Oro de Calabaza as well. 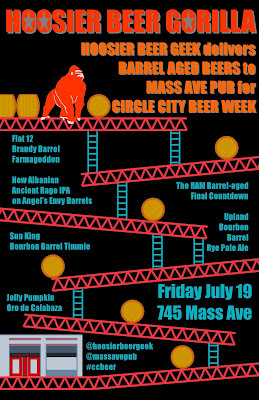 So come out and join us on Friday, July 19 at 6:30 p.m. as we celebrate Circle City Beer Week (#CCBeer on Twitter) and prepare ourselves for the 2013 Indiana Microbrewers Festival.